Earlier this year I made a few jars of preserved lemons and limes. Looking for a way to use some of my preserved citrus I thought a salad was in order. I love quinoa and knew that would be the perfect base for a salad. Full of fresh avocado and roasted peppers it was a refreshing satisfying meal. The salty hit of citrus is the prefect finish to the dish. It is quick, simple and delicious! Cook the quinoa in 2 cups of water for 15 minutes. Meanwhile chop the peppers and avocado. Combine everything in a bowl and squeeze the wedges of lemon over all. Stir to combine. Add a few dashes of pepper. Like you I’m crazy about preserved lemons. I usually add them to hot dishes so thanks for this suggestion of a cold salad. Reading through the comments I see that you preserved limes too! I must try that. I often preserve meyer lemons since the skins are nice & thin, but limes I have never tried. Hi Laura, I agree, I love all things lemon. This is a nice quick salad to put together. The the leftovers are great as well. Hi Ceecee! I hope you enjoy the salad! Hi Teresa! If you have a chance to make some preserved lemons go for it. They are easy to make and are fantastic. I did limes as well and actually preferred them. So good! I love anything lemon and especially preserved lemons! This salad looks delish but sound quite simple and straight forward to put together. I have a jar of preserved lemons in my fridge…now I know what to do with them! Thanks! This sounds wonderful. I love that you made preserved lemons – I’ve only done the quick version, so far. 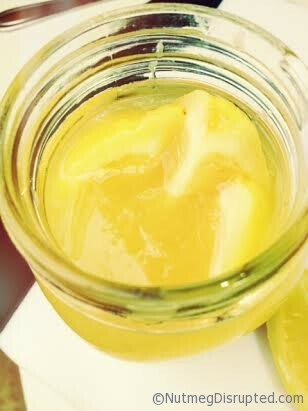 The lemons are super easy to make and with it being citrus season it is the perfect time to make a few jars. I have Meyer Lemons on sale at work I should probably do a jar of those as well. 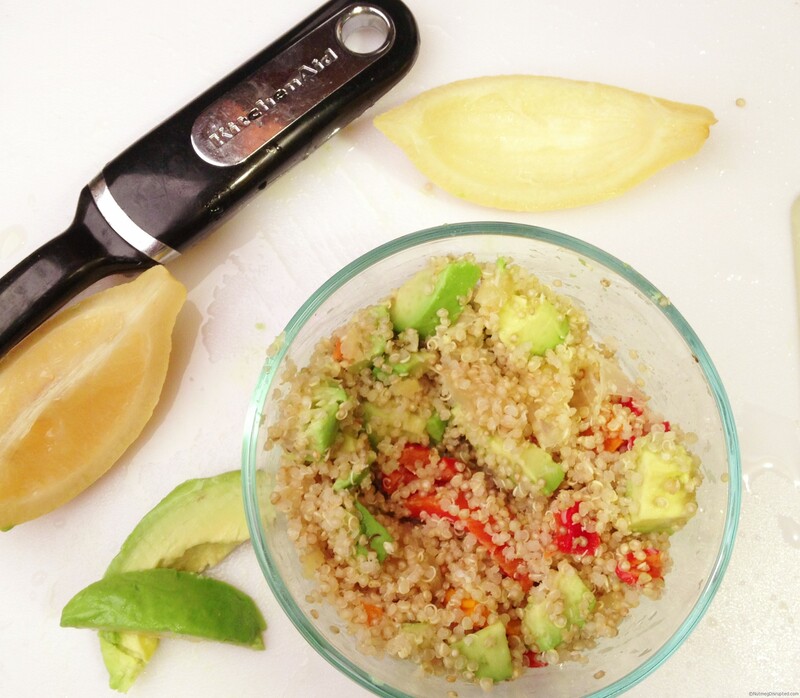 Love quinoa for a salad and I need to get my hands on some preserved lemons. YUM!! Thanks Julie! Now I’m thinking some sort of Preserved Lime margarita is in order. oh yes please!! this looks fab!